PAINESDALE — Helen Lorraine (Kiviniemi) Liimatta, 83, passed away peacefully at the Lighthouse of Hancock, on Monday, September 3, 2018. She was born on March 4, 1935, in Newtown Location, Hancock, and grew up in Painesdale. She was a 1954 graduate of Jeffers High School. In June 1955, she married Kenneth Roy Liimatta of Hancock, and they spent most of their lives together in Painesdale. They had three sons, Michael, Steven and Paul. 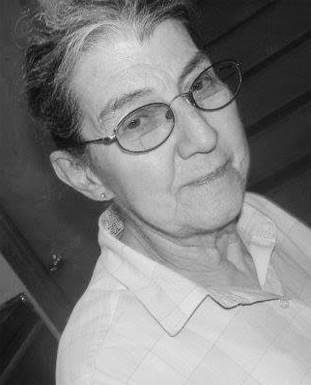 Helen spent many years working in the service industry, as a waitress and cook at a number of local establishments. In her later years, she operated a small neighborhood store in Painesdale that was popular with local children and teens. She was known and loved by many because of her kindness and helpfulness to people of all walks of life, young and old. Helen is survived by two sons, Michael (Nina) Liimatta of Kansas City, Missouri, and Steven (Teresa Verran) Liimatta of Painesdale; two grandchildren, Erik Liimatta, who is currently teaching in Shanghai, China, and Kirsten (Stephen) Bosio of San Gabriel, California; and three great-grandchildren, Naomi, Anni, and Teddy, who live with their parents in California. She is preceded in death by her stepfather, Louis Tormanen; her mother, Hulda Tormanen; her husband, Kenneth Liimatta; and her son, Paul Liimatta. A memorial service will be held on Saturday, September 8, 2018, at 2 p.m., at the Range Apostolic Lutheran Church in South Range. Visitation will begin at 1 p.m.
A reception at the church will follow the graveside services at the Mountain View Cemetery in South Range. To view Helen’s obituary or to send condolences to the family, please visit memorialchapel.net. Memorial Chapel & Plowe Funeral Homes of Hancock are assisting the family with the arrangements. The family would like to thank all of our family and friends, as well as the members of Range Apostolic Lutheran Church, for their wonderful help and support.